The FELIX SG Cooling open top Island is designed for the display and sale of chilled delicasies, sausages and different chilles products. 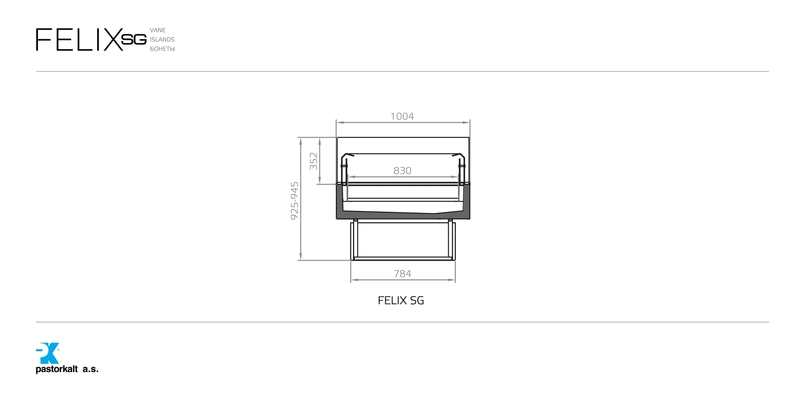 The FELIX SG has the advantage of a large panoramic view to displayed foods due to high side glass without corner supporting elements. Available in a wide range of colours and strict square design makes the FELIX SG suitable for any type of interior shop floor space. It can be alos be modified to specification with a wide range of accessories: bottom grill, set of dividers, castors for easy mobility.